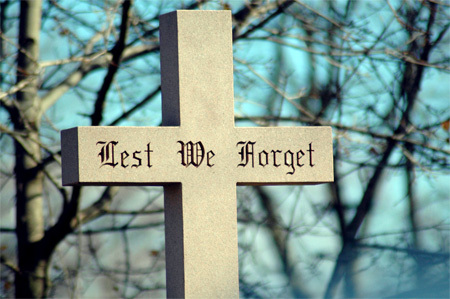 Today is Remembrance Day here in Canada. Elsewhere, it’s called Veterans’ or Armistice Day. It is a day to reflect on liberty. On how precious it is – and how costly. My four recent blog posts have been part of a series. Part 1 and Part 2 discussed how I was wooed and then jilted by Sun TV, a new Canadian television station scheduled to begin broadcasting in January. I was supposed to have been a contrarian voice on topics such as global warming and David Suzuki. What appealed to me about the job was that I’d be working for a venture whose entire purpose was to acknowledge ideas and perspectives most journalists miss. The bias is so ingrained people truly believe it doesn’t exist. But it’s real, and too often it distorts – if not outright strangles – the debate. It’s perfectly true that Ezra Levant is a political conservative. By why did the journalist (or perhaps his editor) feel the need to emphasize this? In case you missed it in the first sentence, it gets repeated in the second. The writer goes out of his way to point out that Sun TV is right-leaning. On at least one of the three occasions in which he mentions Avaaz.org, should he not have informed us that it is left-leaning? Why does Avaaz get described neutrally as “an activist group” – which leaves the reader with the distinct impression that it’s an entirely respectable entity? In fact, as I observed in my third installment in this series, Avaaz’s rhetoric is completely over the top. Its analysis depends on a belief in clairvoyant powers. We live in a free country thanks to those who gave their lives to ensure this fact. We are blessed with a free press. But that free press has grown lazy, complacent, and blinkered. Too often it automatically assumes that left-wing people and causes are legitimate. Conversely, it misses no opportunity to slap large blinking fluorescent labels on individuals/ideas/causes/activism that originate from the right side of the political spectrum – as if to warn everyone about a toxin. Well here’s a thought for all of us. Of the 44,093 Canadians who gave their lives during World War II large numbers of those people happened to vote conservative. They didn’t see the world the same way left-wingers do. Their list of priorities was ordered differently. But they answered the call in a time of need. And then they made the ultimate sacrifice. Is it not alarming that I – who have been recently and royally screwed by Sun TV – am one of the few voices defending its right to be heard? Is it not disturbing (as I point out in installment 4), that rather than leading the free-speech charge, cultural icons such as Margaret Atwood and David Suzuki seem utterly laissez-faire about liberty? Is freedom of speech and freedom of thought valued so little here in Canada? I believed in Sun TV. I viewed it as an important and healthy development. I know real people, decent and good people, who felt both relief and excitement on hearing that Canadians were going to get their own conservative television channel on which issues that are important to them – and perspectives that are more in tune with their values – would be explored. I’m sorry to be the bearer of bad tidings, but that future appears to have slipped away. Sun TV won’t be giving me a platform to tell people about the neglected side of the global warming story. Instead, it now seems to be taking Gwynne Dyer for a spin. Dyer’s book, Climate Wars, was published in 2008. Let us just say that this gentleman has fallen for the climate catastrophe scenario hook, line, and sinker. The book is dedicated to “James who will spend his whole life dealing with this.” The contents page contains a list of phrases such as: inevitable crisis, probably not in time, emergency measures, wipeout, childhood’s end. Canadians are tired of the same talking heads saying the same things on the same networks. Sun News will cut through the clutter. New voices with new insights – not just an echo chamber – will be announced soon. Colourful, intelligent commentary on the issues that are important to you. Sorry, folks. Don’t hold your breath. It’s far from clear what has happened here. Rather suddenly, Kory Teneycke went from being in charge of a bold and exciting TV channel to being out of a job. Rather suddenly, Sun TV was transformed from a guard dog into a lap dog. What I do know is that Canada’s media needs to do better than this. To a large degree the climate change story is a media story. Most journalists believe the global warming hypothesis for the simple reason that they are politically predisposed to trust the word of a certain kind of left-wing activist scientist. But its is MORALLY REPREHENSIBLE for journalists to decide en masse, like lemmings, to not inform their fellow citizens of the most basic facts. Let’s begin with the fact that thousands of solid, credentialed scientists doubt global warming is a serious concern. Society makes its best decisions when it has access to every scrap of information, when it examines matters from every conceivable angle. By no stretch of the imagination are journalists equipped to be the arbiters of truth on climate change. It is not up to the handful of people who work in the media to make that call on everyone else’s behalf – to decide that global warming is a scientifically valid hypothesis and to then refuse to report the other side. We need real debate. We need grown-up discussion. We could use a lot more courtesy and respect toward views that contrast with our own. At the end of the day these questions remain: Do we owe a debt to those who died for our freedom? Will we squander the gift they bestowed on us – and the trust they placed in us? This entry was posted on November 11, 2010 by Donna Laframboise in activist scientists, David Suzuki, ethical & philosophical, free speech, media and tagged activist scientists, Avaaz, David Suzuki, Ezra Levant, free speech, George Soros, Gwynne Dyer, intellectual freedom, Kory Teneycke, Margaret Atwood, media, Sun TV News Channel, SunTV, World War II.